Could I export BPMN model in XPDL format? Modelio uses the BPMN XML 2.0 format standardized by the OMG for Import/Export. 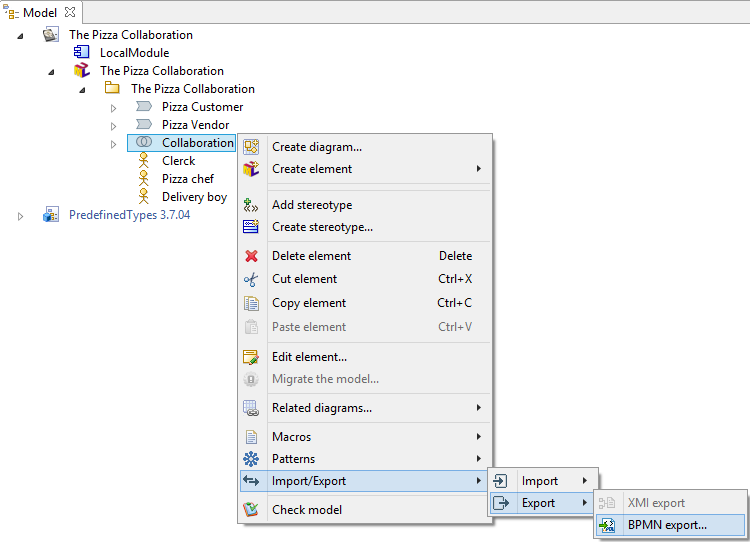 See the Modelio BPMN Import/Export documentation for more details.